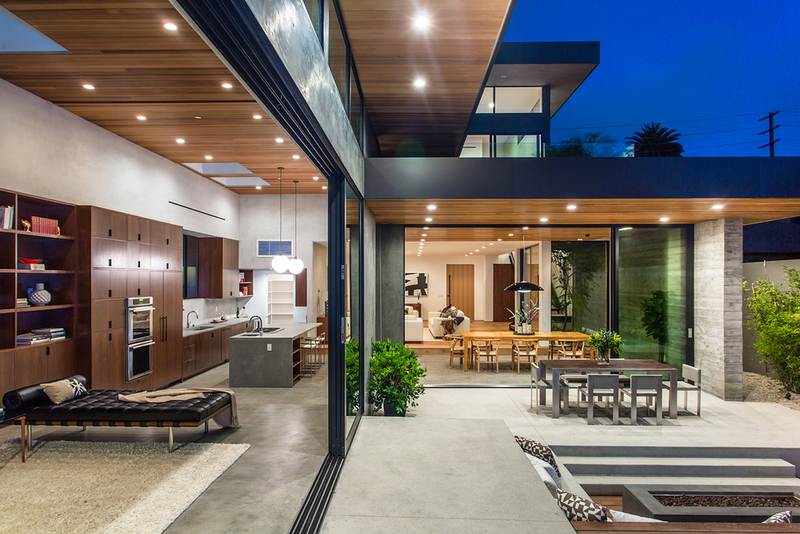 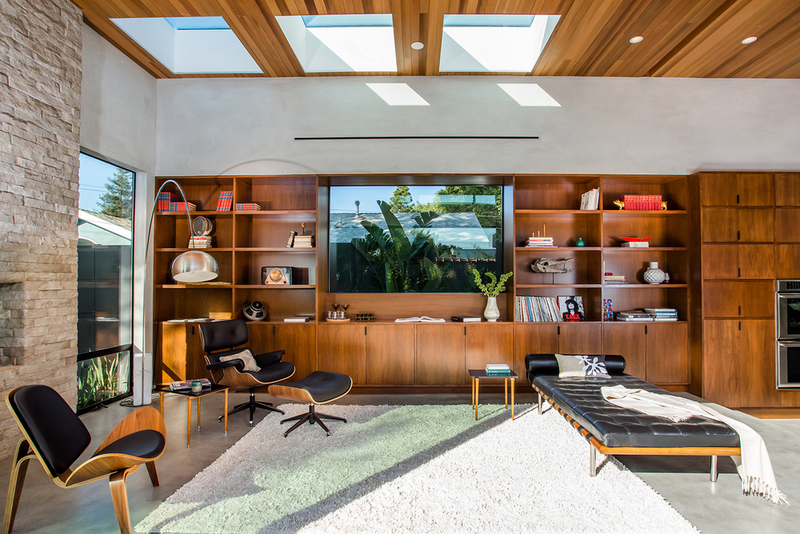 The Palms Residence was designed with an open floor plan that extends into an expansive back yard with pool / spa, sunken firepit area and wood deck, all beneath the canopy of the existing old-growth redwoods on the site. 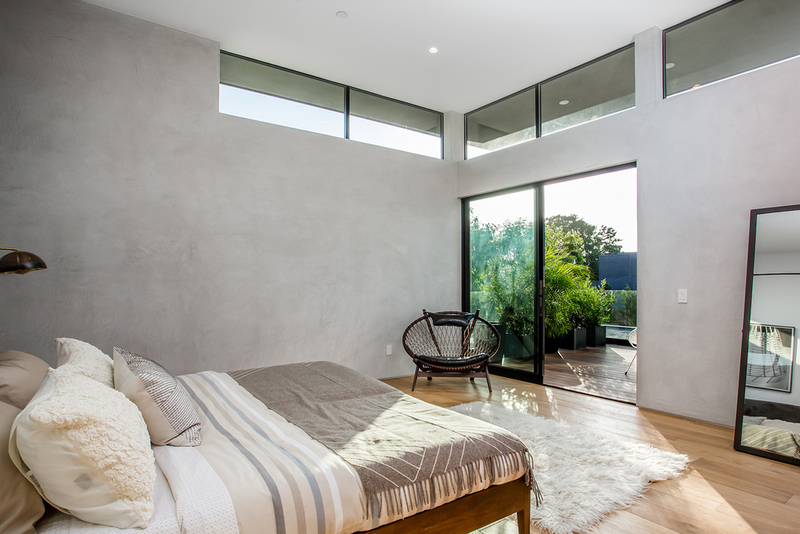 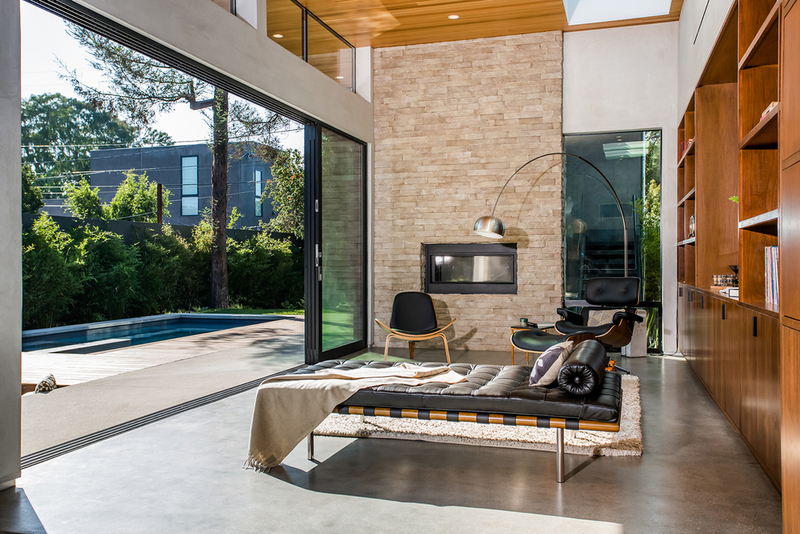 The materiality of the living spaces is modern yet warm, with earth tones in wood, concrete, plaster and stone. 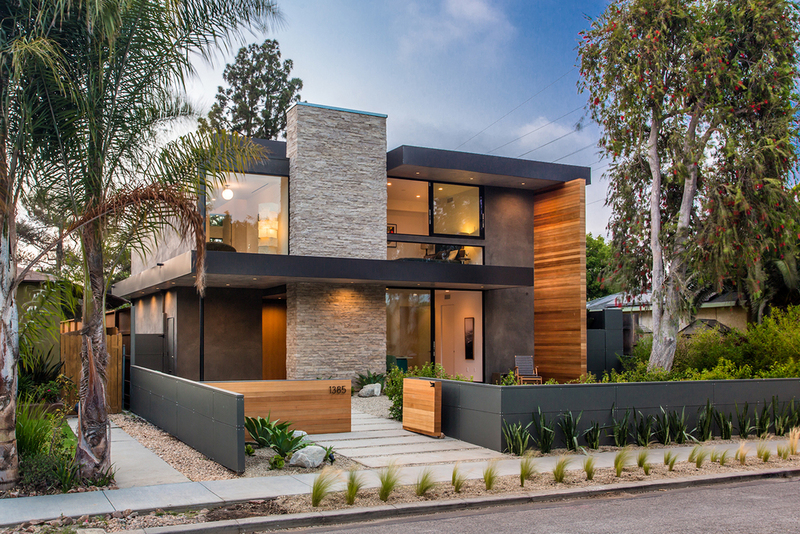 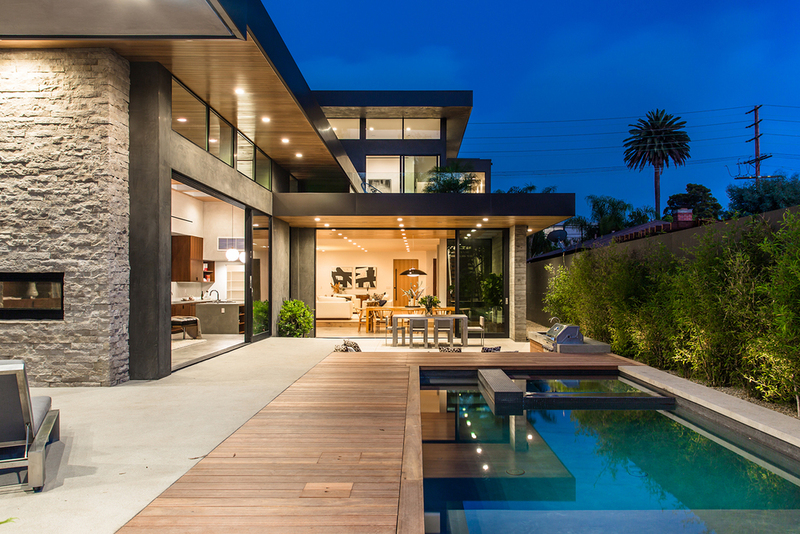 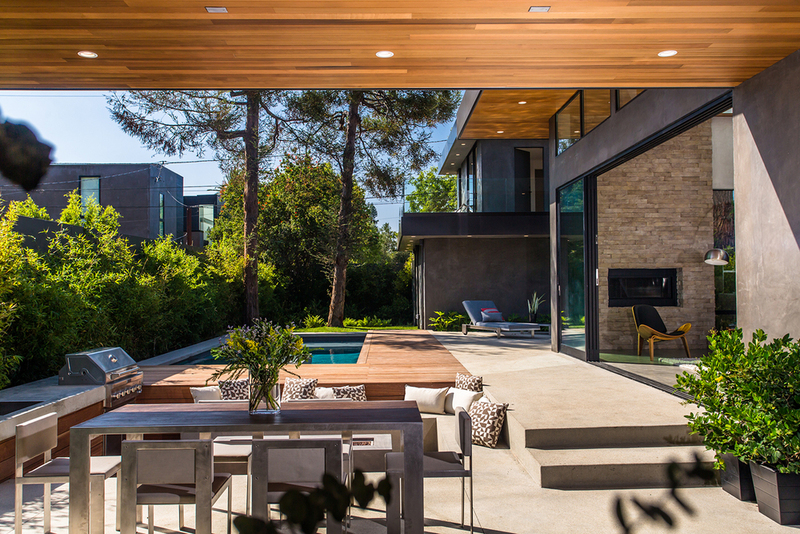 Inspired by mid-century modern design, the floating roof planes and walls define the geometry from the exterior, unfolding to the rear yard on a sprawling linear lot. 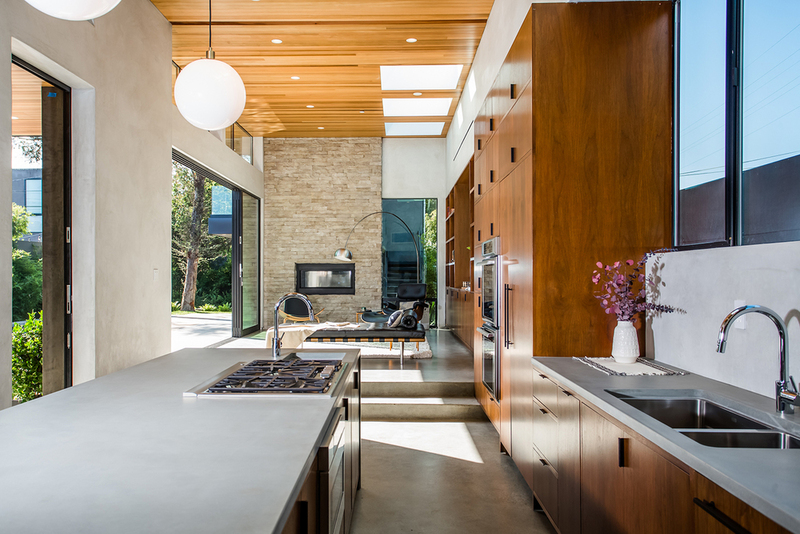 The interior floor plan is a play on intimacy within a larger open space, with varying levels in the floor and roof planes defining the living areas within the whole. 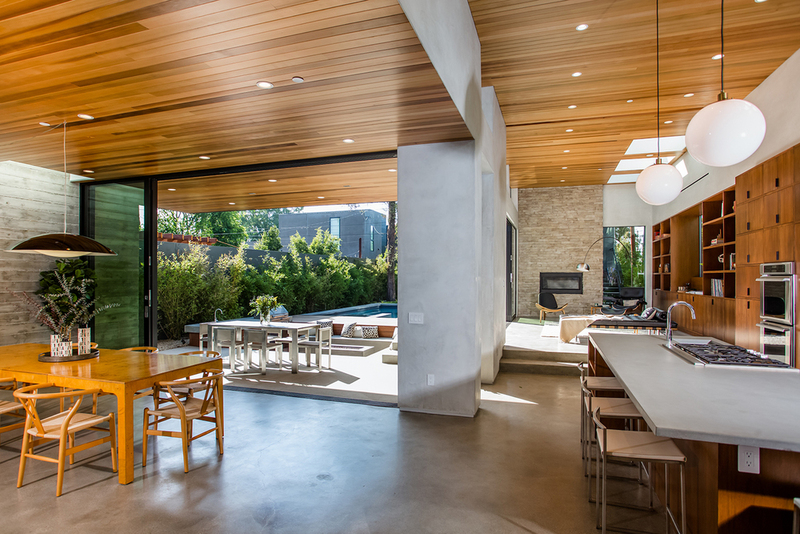 The living room, dining room and kitchen are visually connected and merge seamlessly with the outdoor spaces in an airy indoor-outdoor living space.